Please note: The date above is a guideline - we will contact you to confirm. Donald Engineering is a family owned and operated business that helps farmers across Otago, Southland, and the world, with Donald Rotary Platforms, Read Milking Systems, engineering and more. 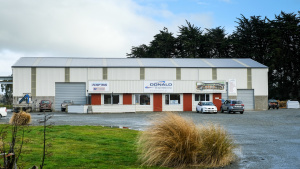 With an engineering office in Edendale, Donald Engineering provide a range of engineering solutions to farmers across the South Island including ATV trailers, stock ramps and Read Cup Removers. Donald Engineering provides a range of services to the farming industry including platform checks, milking machine testing and general repairs and maintenance. Donald Engineering install milking platforms nationwide and overseas. For quality engineering that stands the test of time, contact Donald Engineering today. Donald Engineering Launch New Website!